The hip hop dance industry in India has flourished over the last few years and it’s thrilling to see many passionate dancers getting fully involved in the scene. 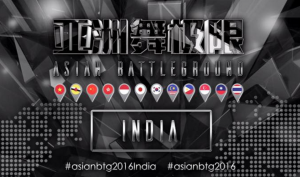 This season, the Asian Battleground is one of the most exciting things happening. Held in Malaysia in October 2016, the pan India winner crew gets a ticket to go and represent India in the finals. Chennai, which is the city where the winner to go to Malaysia will be chosen, is bustling. Crews from all over India will congregate in the city; this is the first time the search for Indian qualifiers for Asian Battleground is being held in Chennai on August 20th. The crews that will be participating include Spilt ‘A’ Way, All For One and Hips n Toez Dance Company from Chennai, Dynamic dance crew from Mumbai, Crafts of Kammotionn from Kolkata, and Graffiti Crew from Bengaluru. According to crew managers, the teams have been putting in up to seven hours a day preparing for the bid day. Phani Kumar who runs the Catalyst Dance Company and who is also the organiser for the event describes how the format for this will be the same as that of Battle of the Year (BOTY), also known as the World Cup of Bboying. There are apparently 60 hip hop dance crews in Mumbai and one of the better known crews is Dynamic Dance Crew whose manager Sunit Gupta expresses how the dance form is so popular that every college pretty much as a crew. His students who are aged between 18-24 are all full time committed to it.